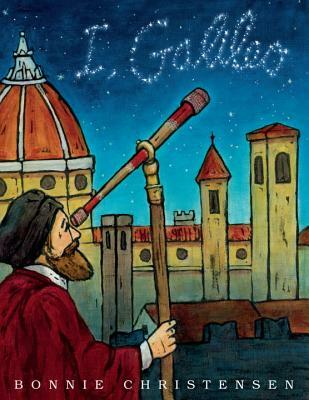 Acclaimed author-illustrator Bonnie Christensen adopts the voice of Galileo and lets him tell his own tale in this outstanding picture book biography. The first person narration gives this book a friendly, personal feel that makes Galileo's remarkable achievements and ideas completely accessible to young readers. And Christensen's artwork glows with the light of the stars he studied. Galileo's contributions were so numerous—the telescope! the microscope!—and his ideas so world-changing—the sun-centric solar system!—that Albert Einstein called him "the father of modern science." But in his own time he was branded a heretic and imprisoned in his home. He was a man who insisted on his right to pursue the truth, no matter what the cost—making his life as interesting and instructive as his ideas. BONNIE CHRISTENSEN is the author and illustrator of two nonfiction picture books, Woody Guthrie: Poet of the People, a Boston Globe-Horn Book Honor Book and an ALA Notable Book, and The Daring Nellie Bly. She is also the illustrator of Pompeii: Lost and Found, written by Mary Pope Osborne. "Bonnie Christensen dials back several centuries in “I, Galileo,” demonstrating once again how a well-conceived and executed picture book can deliver a serious story . . . in a beautiful, enriching way. . . . [A] fully realized, humanized portrait." "An accessible, inviting and attractive introduction to Galileo."